The world’s diversity made into one amazingly multicultural city. 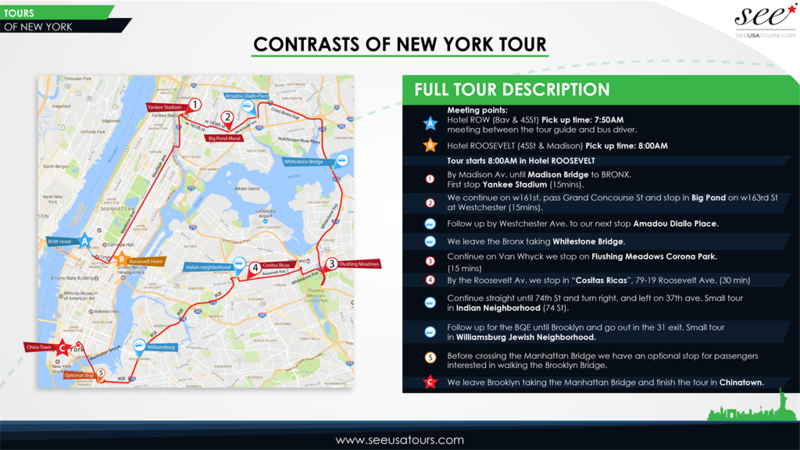 You will visit of 5 major counties: Brooklyn, Queens, Bronx and Manhatta, in this tour you will experience them the differences social, cultural, architectural and the diveersity of the city. After such an exciting journey will be found that NYC is a world in one city. Time and pick up location: Row Hotel at 7:50 a.m and Roosevelt Hotel at 8:00 a.m, please arrive 10 minutes before. Observations: The excursion does not include food, drink, or admissions. 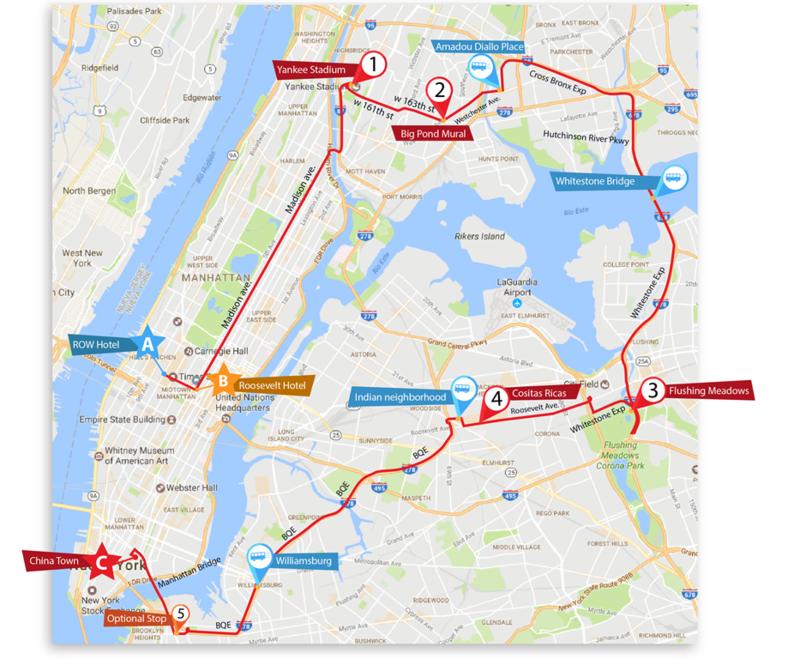 Our guide offers the possibility of crossing the Brooklyn Bridge walking back to Manhattan. It is recommended to wear clothes according to the weather, don’t forget your camera and have fun !! !